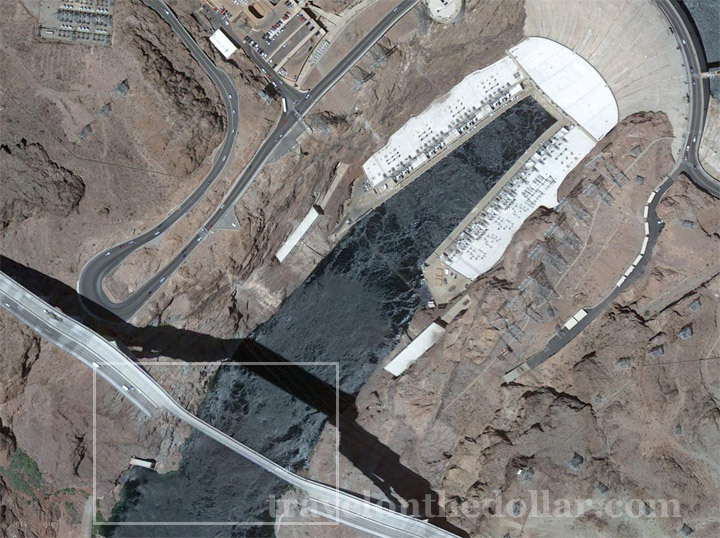 Looking over Hoover Dam and Mike O’Callaghan–Pat Tillman Memorial Bridge that runs through U.S. Interstate 93 on Google Maps today, we noticed that the one half of the bridge was not visible on Google maps! 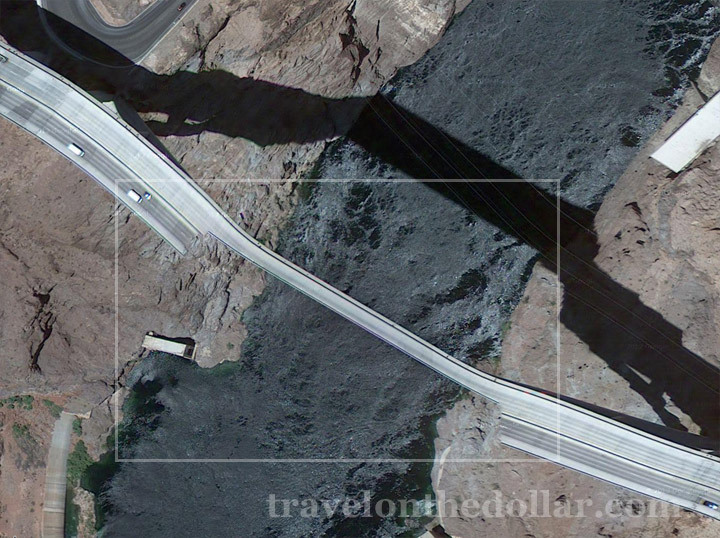 If you look closely (see picture below), you’ll notice that only one side of the bridge can be seen. First thought was that they may have taken the picture while the bridge was under construction, but you can see vehicles being driven on the bridge. So is this an error on Google Maps? We just hope those people driving on the bridge do realize they are about to…..